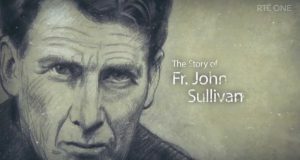 A short introduction to the life of Blessed John Sullivan based on the recent book by Jesuit historian Thomas Morrissey SJ, Where Two Traditions Meet, published by Columba Press. Before and after his death a huge devotion to Fr Sullivan spread across Ireland and in the Dail last year, former Taoiseach Bertie Ahern quoted Fr Sullivan’s words, at the end of his final speech as the country’s leader. 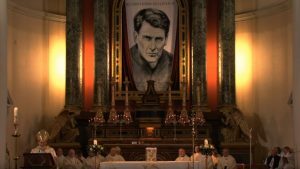 The cause for his canonization has been recently furthered in Rome as Irish people continue to tell stories of extraordinary graces experienced through their prayers to him. This month, an anniversary Mass for him, held in Clongowes, left Gardai having to police the huge tailback of cars to Clane. Fr Todd Morrissey SJ, historian and author of many books has just published the most up to date biography of Fr Sullivan and the summary from the book below is a window into the life of this extraordinary and much loved Jesuit..
John Sullivan was born on 8 May 1861 at 41 Eccles Street, in the heart of old Georgian Dublin. His father, Edward, the future Lord Chancellor of Ireland, was a successful barrister and was already showing signs of what was to be brilliant success in future life. His mother, Elizabeth Bailey, came from a prominent land-owning family in Passage West, Co. Cork. John’s father was a Protestant and his mother was a Catholic. Following the tradition of the time whereby the daughters of a mixed marriage were brought up in the mother’s faith and the sons brought up in the fathers, John was baptised in the local Church of Ireland parish, St. George’s, Temple Street, on 15 July 1861. It was soon after this that the family moved to 32 Fitzwilliam Place, which was to be the Sullivan home for forty years. John grew up in the gentle comforts and privileges of the fashionable Dublin society of the time, and was raised in the Protestant tradition of his father who on becoming Lord Chancellor was for a time, the most powerful man in the land. Both parents, whom he loved dearly, had a deep influence on his life. The household in which the young John was raised appears to have been deeply hospitable, tolerant and with no signs of sectarianism. His father gave him a love of scholarship, his mother, a deep spirituality. In 1872, the young John was sent to Portora Royal School, Enniskillen. In later years – and shortly before his death – he remembered his old school as a place where he went ‘bathed in tears’, but when the time came to leave some years later, he ‘wept more plentiful tears’. John loved Portora and, to this day, Portora remembers him. His name is inscribed there on the Royal Scholars Honours Board in Steele Hall. Another famous Dublin name that features on the board is that of Oscar Wilde. Both were to achieve fame in later life, but for very different reasons. While at Portora, John often visited Devenish Island on Lough Erne. The famous Protestant school had a considerable influence on his life not only through the Christian witness of its clerical headmaster, Dr William Steele, but also of another former student whom he described as ‘the most Christ like man he had ever met’. It was at this time too that he gave up Church going altogether. The sudden death of his father, Sir Edward Sullivan, the Lord Chancellor of Ireland, in April 1885, when he was just 24, was a great shock to him. John dearly loved his father and had already started his studies in Law at Trinity with the intention of following in his father’s chosen career. The inheritance he received after his father’s death ensured that he was very comfortable in financial terms. He was a very handsome man of charm and grace. He was an outdoor activities enthusiast. He loved cycling and long walks in hills and mountains at home and abroad. He also made numerous friends in Britain, among them politicians from all the main parties. That he was a man of ability, experience and judgement was indicated by his appointment in 1895 by the Conservative government to a commission to investigate the widespread massacre of Armenians in Ardana, Asia Minor, an event which received much publicity at the time, generating much public anger. At home in Ireland, he surely would have been preoccupied with the Parnell story, and in the literary field, with the success of a fellow old Portorean , Oscar Wilde and his premier of The Importance of Being Ernest. Women who knew him at the time say he was popular, likable, highly-respected, well off, and considered a ‘catch in the matrimonial market!’ His sister and mother were wise to manys a dinner invitation that looked more like a match-making night! It appeared to John’s friends in the early 1890’s that he seemed to have ‘no definite religious views’ but a great deal was in fact going on inside him. He had discovered and was deeply moved by St Augustine’s Confessions (including the accounts of his early skepticism) and was aware of his own mother’s prayers and hopes for him, like Augustine’s mother, St Moncia. 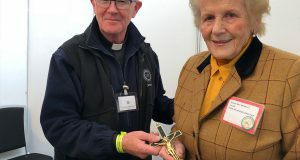 A gradual curiosity about Catholicism began to assert itself and an unusual instance of this was mentioned by a Mrs Esther O’ Kiely, wife of Professor O’ Keily of UCD. In 1894 and ’95 when she was a little girl in her parents’ Glencar Hotel in Kerry, John Sullivan stayed there. She used to be instructed by her governess near an open window that looked out on the front garden. 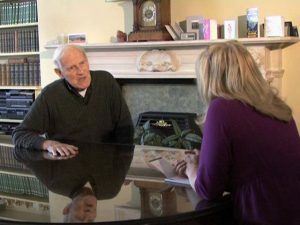 One rather cold summer morning, John Sullivan stood outside the window as Esther was getting Catholic catechism lessons. On seeing him ,the governess, knowing he was a protestant, stopped the lesson. He asked Esther what she was learning and she told him. The book was the Butler’s Catechism and he asked her if he might sit in for the lesson and then borrow the book, which he did. Next day he asked could he join the class, and he took part asking questions and looking for more books to read. The following year he returned to the class, with Butler’s Lives of the Saints and inquired a good deal about Mass and Confession. He only came to Glencar for two years but after that he sent her a book every year with some religious significance though she would have preferred Chatterbox! In 1906 he sent her a personal message via a Jesuit visiting the area that he was going to become a priest. A Mrs Isabel Cummins (former Leeson St hotel owner) also tells the story of meeting him as a twelve year old at her grandfather’s wake. Her grandfather had been in the hospice (now Harolds’s Cross) and John had been visiting the sick and dying there even at that stage, bringing presents often to those feeling low. It was something he would continue to do after his conversion for many years. He asked the young Isabel to pray for him and she duly told him he would get ‘three hail marys’! In December 1896, at the age of 35, after some years of soul searching, he decided to become a Catholic. 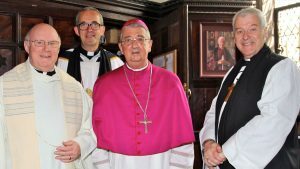 He was received into the Catholic Church at the Jesuit Church in Farm Street, London. The effect on Lady Sullivan, John’s mother, can only be imagined. All her life, she had been a devout Catholic. John’s decision must have been an answer to some of her prayers. She died two years later in 1898. According to a granddaughter of his brother, Sir William Sullivan, who remembers her grandfather talking about the affair, the family was ‘shell-shocked’ at the news. This is not to say that the family was in any way hostile to his decision. 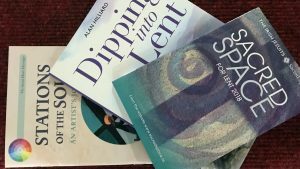 The astonishment was all the more acute in that John had never shown any special interest in religion which would have led him to making such a decision. He had always seemed to be a typical Protestant of the best sort! For the next four years, along with his work as registrar to Judge William O’ Brien, John Sullivan visited many hospitals, hospices and convents where he was ready to help the nuns in whatever way he could. 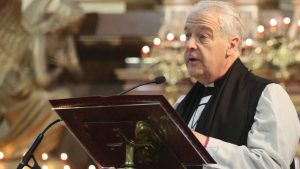 Once in Cork for a major ceremony (Forty Hours Adoration) he helped the sisters who were running out of time fast, to clean out the chapel, single –handedly moving benches, polishing, mopping and cleaning. It was late at night by the time he’d finished and his clothes were showing the effects of the day’s work. But he knelt down to pray and apparently spent the rest of the night there until Mass the next morning. A further surprise awaited the Sullivan family. In 1900 John decided to become a Jesuit and entered the Jesuit novitiate in Tullabeg, Co. Offaly.At the end of his two years novitiate, he took his vows as a Jesuit and then was sent to St. Mary’s Hall, Stonyhurst College, England to study philosophy. Already his holiness was obvious to many who lived with him. To this day , the cross is kept by the Jesuits in Gardiner St and one Jesuit visits the sick anywhere if requested , bringing the cross with him. They receive many calls. In 1904 John Sullivan came to Milltown Park to study theology, and he was ordained a priest on 28 July 1907. He was then appointed to the staff in Clongowes Wood College, Co. Kildare, where he was to spend the greater part of his life as a Jesuit. Fr Sullivan’s asceticism was widely known. Servant’s spoke of his bed being untouched and expressed the belief that he slept on the floor, and they claim to have found stones in his boots. When he was brought to St Vincent’s shortly before his death, his feet were found to be in a severely damaged condition. Frequently he slept for only a couple of hours, praying until late in the chapel and rising early. One old lady who lived near Clongowes said that Fr. Sullivan was very hard on himself, but he was never hard on others. He ate the plainest of food, and lived a life of severe penance. He left everything in order to follow the call of the Lord, and in that he found riches of a different order. Whenever possible, he was at prayer. Every available moment was spent in the chapel. He walked with God, and lived every conscious moment in his presence. At times he hardly seemed to notice the world around him. Fr. John’s reputation for holiness spread rapidly around Clongowes and the neighbourhood. Despite his brilliant mind and academic achievements, it was his holiness that was recognized. Many revered him as a saint. Strange things happened to those who flocked to Fr Sullivan for help.The power of God seemed to work through him, and many were cured. If someone was sick or in trouble and could not make the journey to Clongowes, he came to them as soon as he heard of their need. Distances did not seem to be a major obstacle. Once he walked fourteen miles there and fourteen miles back to pray with and to bless a sick person. His bicycle brought him on longer journeys, including visits to Dublin and back. One re­markable recorded case concerned a religious sister who had a very serious accident which led to an amputation and then a fur­ther amputation. By letter he learned that she was in a grave condition, fever and delirium had set in. The letter asked his prayers and that he might visit her if he was in Dublin. The post arrived at the school during the morning break. The hospital where the sister lay was over twenty miles from Clongowes. He set out on his bike and arrived in the early afternoon. He went to the patient’s room, knelt down, without support, and gave him­self to prayer. After a long time, the nun’s restless tossing be­came quiet, and the delirium ceased. She appeared to sleep. Fr Sullivan quietly returned to his bicycle and was back in Clongowes in time for a meeting of the Sodality of Our Lady that evening. Fr Sullivan was made rector of Rathfarnham Castle in 1919. It was a house of studies for Jesuits students attending university.It was not an easy task at anytime but particularly difficult in those years of political struggle. While in Rathfarnham, Fr John had a greater opportunity of meeting with his brother, William, and his sister, Annie. He had always kept in touch with them. He sometimes met with William at his club on St Stephen’s Green. William had no difficulty introducing his poorly dressed brother to other club members, and John was unperturbed by his threadbare clothes and his aged and patched boots. 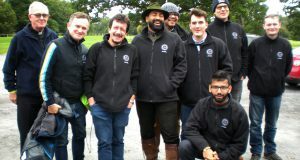 “On Fr Sullivan’s return to Clongowes in 1924, the new Free State government was endeavouring to pull the country together after the ravages of the Civil War, 1921-1923, and faced by in­ternecine strife in the trades union movement. As a strong advoc­ate of the importance of teaching as a profession, he was con­sciously part of Clongowes long tradition of producing young men to lead and serve in the new Ireland. On 8 October 1928, a nephew of the late General Michael Collins, also named Michael Collins, was brought to him. The child, aged three years, appears to have been attacked by infant­ile paralysis, his leg being completely bent up and causing him intense pain. Fr Sullivan promised to say Mass for the child, who was then brought to the Mater Hospital, Dublin, where his con­dition remained unchanged. 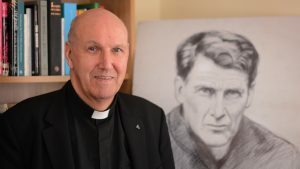 On Tuesday, 16 October, his mother, Mrs Sean Collins, who lived in Kildare, received a postcard from Fr Sullivan saying that he had seen Michael and that he was going home well. She hurried to Dublin, and was told by the nun in charge that the child was cured. Fr Sullivan had arrived the preceding evening by bicycle from Clongowes. He prayed for a long time over the child and touched his leg. He then cycled home. Shortly afterwards the nun took the child out of bed, ran a warm bath for him, and to her astonishment he kicked out quite normally with the leg. The trouble never recurred, and the boy grew up strong and well. Among other well attested ‘cures’ or healings, the most re­markable occurred in December 1932, only two months before Fr Sullivan’s death. It was that of a young married woman who was suffering from pernicious vomiting. She was unable to re­tain any food and had become practically a living skeleton. She was considered to be in a dying condition and was anointed on 17 December. Her sister brought Fr Sullivan to see her on 22 December. She was only half-conscious and disinclined for any religious consolation. Fr Sullivan sprinkled her with holy water and said some prayers. Next day she seemed slightly better. Next day again, Christmas Eve, she retained food for the first time, and on Christmas Day, to the amazement of her doctor, she was able to eat a Christmas dinner of turkey and ham, and from that she never looked back until she was completely recovered. There were other instances where a ‘cure’ did not follow his visit and prayer, but where he seemed to secure for the sick per­son freedom from physical pain or mental suffering. In 1913, for example, he was asked by a Mr Peter Coonan, a near neighbour to Clongowes, to visit his uncle, Thomas Coonan, who was dying of a bleeding cancer of the throat at his home in Kilclough, near Straffan, Co Kildare. Peter Coonan drove Fr Sullivan in his gig, and when they came near the house they could hear the sick man moaning and crying out in pain. Fr Sullivan prayed over him for a considerable time, and as he rose to go he said, ‘Good­bye Tom, and I promise you one thing, that you won’t suffer any more.’ Thereafter, Tom Coonan had no further pain. He died about a fortnight later. The extraordinary change was commented on by many neighbours. Fr Sullivan’s health began to decline in 1929, with various aliments afflicting him. On Feb 5th 1933 Fr Sullivan suffered violent stomach pain and was rushed to St Vincent’s Hospital, 96 Lower Leeson St, Dublin. He had intestinal gangrene and was operated on immediately. He died peacefully at 11pm on Feb 19th 1933, a stonesthrow from his old family home. In Sept 1960 Fr Sullivan’remains were exhumed and taken to the St Francis Xavier Church in Gardiner St where he rests today. Daily, ever since the remains were laid in the vault, people have come to pray at the spot, seeking Father John’s intercession, as they did in his lifetime, especially in times of sickness, strain and sorrow. Many small and larger healings and favours have been reported. 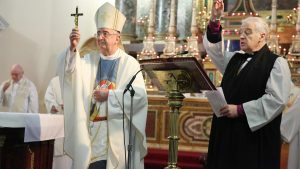 The monthly Mass for his canonisation and in thanks­giving for his life has an attendance of over 200 people from dif­ferent parts of the country. 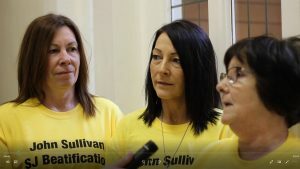 In the north of Ireland there seems to be a considerable devotion to John Sullivan: people come in spe­cial coaches to visit the shrine, and priests from Gardiner Street Church have travelled to Newry and other locations in response to requests for a blessing with Fr Sullivan’s cross. The evidence for his cause had to be translated into Italian. In 1969, the Italian version of the evidence was officially accepted by the Sacred Congregation, and in 1972 the writings of the servant of God received approval from the Congregation for the Causes of Saints, an important step on the way. 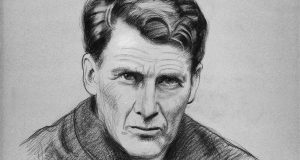 In June 2002, the findings of the Supplementary Tribunal of the Archdiocese of Dublin for the Cause of the Canonisation of the Servant of God were forwarded to the Holy See. 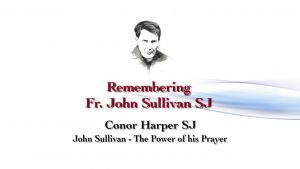 In April of 2016 it was confirmed that Fr John Sullivan would be declared blessed. The beatification ceremony will take place on Saturday 13 May, 2017, at 11am in St Francis Xavier Church in Gardiner St, Dublin, which houses his tomb. It will be the first time ever that a beatification ceremony will be held in Ireland. There is a constant demand for blessings with his vow crucifix, which is kept in St. Francis Xavier’s, Gardiner Street, where Fr. John’s earthly remains repose in the Sacred Heart Chapel. Many come to pray at his tomb. There are many accounts of comfort and healing from those who have been blessed with Fr. John’s Cross. There is also a constant demand for relic cards.